The Viscovery® software suite provides data scientists as well as business users a versatile and powerful set of tools. Analytical work is supported with workflows that allow for easy and efficient creation of predictive models. Using the combined power of self-organizing maps and multivariate statistics, Viscovery technology reduces complexity and lets clients visually comprehend the essence of their data. 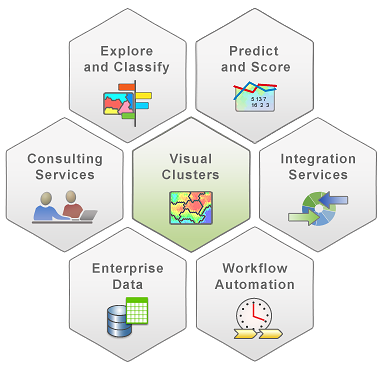 Viscovery models enable visual exploration of clusters and dependences and ultimately enrich business processes with quick, data-driven decisions that provide competitive advantage. As a company of the Biomax group, Viscovery offers special expertise in the life sciences. 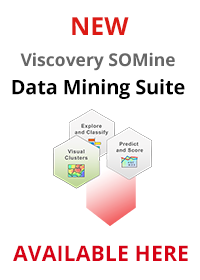 Learn more about the Viscovery® SOMine data mining suite.